Still Waiting On Your Bicycle Accident Settlement? Need Pre Settlement Funding On A Bike Accident Settlement? Thanks to a resurgence in bicycling’s popularity, cities across the U.S. are making an effort to become more bicycle friendly. Many municipalities are investing the time and money to create segregated bike lanes on popular, busy roads, install bike racks in front of downtown buildings and upgrade their crosswalk systems to better alert drivers when a cyclist is crossing. Despite these various safety measures and cycling accommodations, the U.S. Department of Transportation reported more than 48,000 cyclist injuries in 2011 along with a total of 677 fatalities, an increase of almost 10% over the prior year. These accidents and cyclist fatalities occurred despite the more aggressive safety standards instituted by cities and towns all over the U.S. and despite new and impressive safety equipment available for cyclists to purchase. Who’s At Fault for Cyclist Injuries? It’s a sad fact that negligent drivers are often responsible for injuries and fatalities among cyclists. A driver who fails to pay attention before proceeding through crosswalks or who neglects to give a cyclist enough room on the road can cause devastating, even fatal injuries. Cyclists who are lucky enough to live despite their injuries may find that they are no longer able to work the same career they had or, in some cases, may not be able to work at all after the accident. Other injuries are caused instead by faulty safety equipment such as helmets that fail to protect riders the way they’re supposed to. The professionals at Pravati Capital understand how difficult it is to determine which attorney is best suited to fight your bicycle accident case. That’s why we’ve taken the work out of attorney selection and have developed a vast network of lawyers with various specializations. We can review your case and match you to the perfect legal representative for your situation. 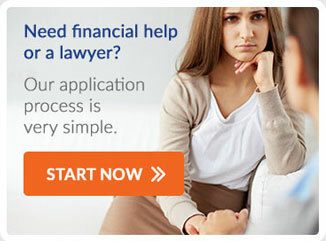 But we also know that finding an attorney isn’t the only challenge facing you. Often, the time between filing your complaint and settlement or adjudication is a long one, and when you’re suffering damages, you need money to help pay medical bills, replace lost wages and more. Pravati can provide legal financing that helps you manage these expenses and hold out for the settlement you deserve. If you experienced a Bicycle Accident, contact Pravati Legal Funding today.